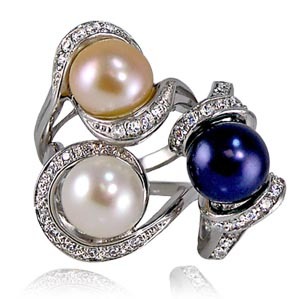 Opals, October’s traditional birthstone, often show a flamelike effect in their color variations. 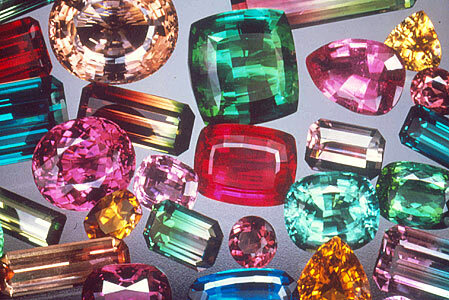 Tourmaline comes in a great variety of colors, including bi- and tri-colored stones. October is another of those lucky months with two stones to chose from. 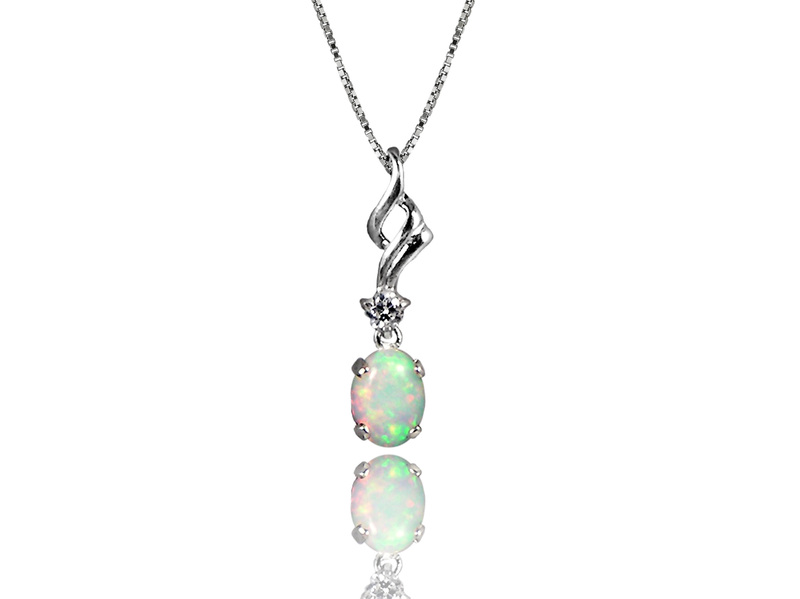 Opal is the traditional October stone, with tourmaline added as a secondary stone in 1912. The fantastic thing about being born in October is the amazing range of colors these two stones have to offer. Opal is made when silica gel seeps into cracks in sedimentary rock and is naturally heated and molded over time. 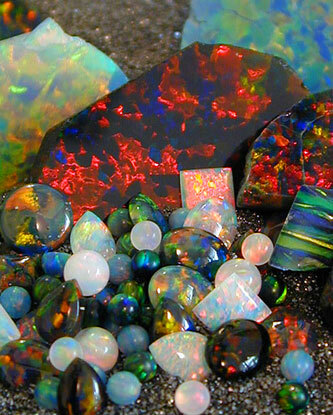 This gives the wide range of colors seen within the different varieties of opals, and gives the stones a 3D effect – you see different colors at different depths within the stone. 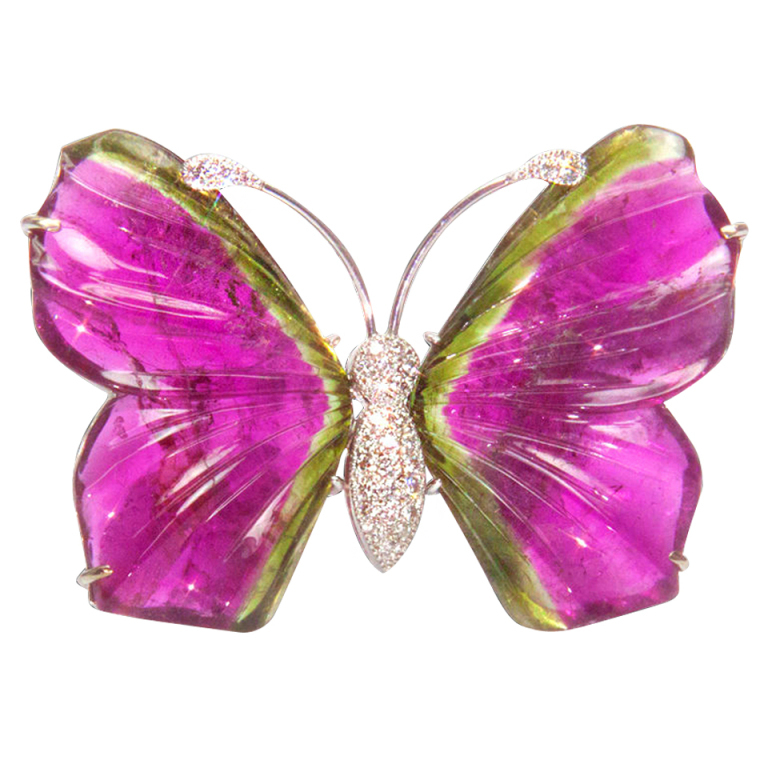 Tourmaline comes in a variety of single color stones, as will as bi- or tri-colored stones. This effect is known as color zoning. A popular variety of multicolored tourmaline is watermelon tourmaline, which has a color gradient of green to pink/red, often with a colorless zone in between. Check out this adorable watermelon tourmaline butterfly! Tourmaline is found in Brazil, the U.S., Africa, and Afghanistan. An intense green variety called chrome tourmaline is found in Kenya and Tanzania. The word “tourmaline” comes from the Sinhalese word “turmali,” meaning “mixed,” referring to its stunning color varieties. According to Egyptian legend, tourmaline passed under a rainbow on it’s way up from the center of the earth, and therefore absorbed all the colors of the rainbow, giving us the varieties we see today. Tourmaline is thought to enhance creativity, and is a stone of love and friendship. Another trait that sets tourmaline apart from many other stones is their ability to hold an electrical charge when heated and then allowed to cool. Shopping for an October birthday present? Pearls International offers this amazing pearl enhancer with chrome tourmaline, which is a perfect addition to any of our pearl necklaces. 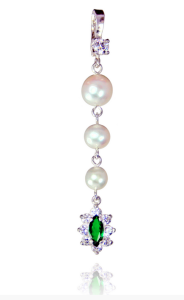 Our pearl enhancer with chrome tourmaline. African Aborigines have a legend about the creation of opals that also involves a rainbow, interestingly enough. It was believed that the Creator came down from the heavens on a rainbow, bearing a message of peace for all people. When his feet touched the ground, the stones around him began to sparkle with all the colors of the rainbow, and thus opals were created. Metaphysically, it is thought to cure depression and bring real and true love to the wearer. 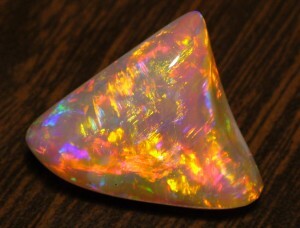 A gorgeous fire opal. Look at all those colors! When buying opals as a gift, remember that they contain 3-30% water, and are a very soft stone, meaning they are best for occasional or light wear.